The Bluffs at Rough Hollow - Your luxurious, custom home community awaits you. 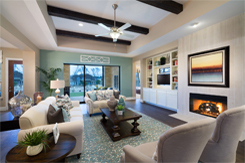 The luxurious Lakeway lifestyle from Wes Peoples Homes. Continue on Highlands Boulevard to Borditt Way; turn left, turn left on Bisset Ct. Turn left onto Borditt Way; turn left on Bisset Ct.
Tours by Appointment Only. Call Today!